Sage Pastel Accounting - Training Courses starting from only R1500 ! Take your career forward with the official Sage Pastel Certification. Classroom Courses, Distance & Online Learning Courses and On-site training available. No hidden fees – prices include your learning material, Pastel Accounting Software (educational licence), Exam Fee and Certificate. Get started today with our distance and online learning courses. Best value guaranteed – if you find the same course for less just let us know. The Course Information Pack in PDF Format. How a Pastel Qualification can help you earn more. Why Pastel is in demand in the job market. 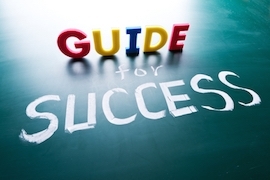 How you can start your own Bookkeeping Practice. ** We will send you the free lessons via email. You can unsubscribe at any time. We can answer any questions you have much more quickly with a short telephone call. Very happy with these courses! What a great learning experience I had with Talent Stream! The institution is different from my friends' ones, it's the quality that matters. The staff will take the time to give you a one to one explanation. I am also glad that I have managed to do my Sage Pastel courses at a very affordable price than I was getting from other institutions. And we get taught by people right at the peak of global research. It's exciting. So, I recommend my friends and colleagues for any future courses they want to pursue from Talent Stream and looking for many more courses for myself in Talent Stream. Talent Stream guided me right through the course. When I had questions, they always responded quickly and they would explain the same thing to you until you understand 100% . The videos and answers that they post on the student forum helped me a lot and it made the course really easy. I am doing more courses with Talent Stream right now. And again they are very helpful. I absolutely love Talent Stream. Very helpful and user friendly! I enjoyed doing this course through Talent Stream because its affordable and guidelines they give on how to structure the studies are really helpful and the mock exam is the cherry on top. Thank you so much I am looking forward to start the advanced course now. I was very pleased with the user friendly site; the consultants are extremely helpful and quick to respond to any queries. Overall I had a great experience with Talent Steam and would recommend them to anyone interested in doing a Pastel course. I also really appreciated the good discount they gave me. I would definitely book another course through them. Exceptional service and support I received from Talent Stream! I am proud to have completed my course with such ease with the right company. I recommend this program to anyone without hesitation. Thank you Talent Stream for building my foundation and growing my skills in accounts! At first I was nervous , I had this fear of failing but with guidance from Umar I have passed .. it was a great experience with Talent Stream. I really enjoyed studying through Talent Stream. I found the video podcasts done by Zunaid to be extremely beneficial, as there was additional information explained in the podcasts that couldn't be explained in the manual, which made understanding this course all the more easy. The student forum is very well organised and all questions were explained by Zunaid in thorough detail to help me understand. All-in-all I would like to thank Talent Stream and Zunaid for the excellent service and would definitely recommend it to anybody wanting to study online. The prices below include VAT and are once-off payments. To read more about each course to see which one will be suitable for you please click here. For payment plans please click here. To register for any of courses below please complete our ONLINE COURSE REGISTRATION PROCESS by clicking on the button below. The Sage Pastel Partner Practitioner course is effectively a course bundle of 2 courses – the Sage Pastel Partner Intermediate + Sage Pastel Partner Advanced. Therefore, the bundle of Sage Pastel Partner Practitioner + Sage Bookkeeping Fundamentals consists of 3 courses – each with its own assessment and separate certificate. The pricing below is for payment plans. For single, once-off payments please click here. The Practitioner course – which covers the Beginner, Intermediate and Advanced levels. The Practitioner Course is the most comprehensive course and includes all the learning material from the other courses. The Intermediate course – which covers the Beginner and Intermediate levels. The Processing course – which covers the Beginner level only. The following table shows you which levels are covered by each course. You are not required to complete these courses in order. In other words, you don’t have to do the Processing course before doing the Intermediate Course as everything from the Processing Course is also included in the Intermediate Course. Similarly, you don’t need to complete the Intermediate Course before doing the Practitioner Course. The Practitioner course includes everything that is in the Processing, Intermediate and Advanced Courses. If you want to do a single course to learn everything from Beginner to Advanced then you should register for the Practitioner course. However, it is more cost effective to register directly for the Practitioner Course. To see the detailed list of functions taught in each course please get the Course Information Pack. Doing it from home (or anywhere) with a Distance and Online Training Course. If you don’t have a proper accounting background or if you need a refresher on bookkeeping theory you can do the Bookkeeping Fundamentals course with any of the Pastel courses above. This is referred to as a Course Bundle (as it is made up of 2 courses). If you have had little or no prior exposure to bookkeeping or accounting (or perhaps you have studied it a long time ago and need to refresh your knowledge) then you should register for the Sage Bookkeeping Fundamentals course. The Sage Bookkeeping Fundamentals course covers basic bookkeeping theory. It can be done on its own but it is more cost effective to register for it as part of a Course Bundle. A Course Bundle consists of the Sage Bookkeeping Fundamentals course and one of the Sage Pastel Partner courses. The Sage Bookkeeping Fundamentals course has its own separate assessment and certificate so you will be obtaining multiple certificates with a Course Bundle. This is the best and most comprehensive course. It includes everything which is covered in all the other courses. You can do this course even if you have never studied Sage Pastel before i.e. it is suitable for beginners as well. You want to become a Pastel Trainer or Consultant (once you have completed the Practitioner course you can study further to become a Trainer or Consultant). You can also qualify as a Practitioner (the highest level) by completing the Sage Pastel Partner Intermediate course first and then completing the Sage Pastel Partner Advanced Course at a later date. However, there is a cost saving in registering for the Practitioner course compared to registering separately for the Intermediate and Advanced Courses. You want to cover everything from a Bookkeeper up to Trial Balance function. You need to know how to install the software and setup new companies on the system. You need a good understanding of all the reports that Pastel can provide. You don’t need to know how to use advanced functionality such as budgets, projects, the form designer, report writer and various other advanced functions (see detailed table in Course Information Pack). All of these Advanced functions are not included in the Intermediate Course. You will be processing transactions on the Pastel system. This course doesn’t cover how to setup new companies on the system or how the various reports work. It also doesn’t cover how to generate reports for VAT Returns. If you are planning to study either Intermediate or Advanced Pastel in the future, then it is better to register for either the Practitioner Course or the Intermediate course as they include everything from this course (and more). However, if you are under budgetary constraints then this is a great starter course which will allow you to obtain an official Sage Pastel Certificate. 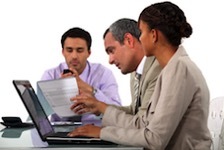 You want to qualify as a Sage Pastel Partner Practitioner. Have you downloaded the Course Information Pack? If you haven’t already done so please click here to download the course information pack. To register please click on one of the options below. (2) Sage Bookkeeping Fundamentals course. The Sage Bookkeeping Fundamentals course covers basic accounting theory and is suitable for those with no prior accounting background. The Course Bundle with the Bookkeeping Fundamentals course is not available with the Advanced Course. Sage Pastel Xpress is the “little brother” of Sage Pastel Partner. It has the same screens and functions as Sage Pastel Partner with the main difference being that Sage Pastel Partner has some additional functionality that Sage Pastel Xpress does not have. Once you complete a Sage Pastel Partner course you will know how to use Sage Pastel Xpress and you will also be certified on Sage Pastel Xpress. You want to do a classroom course. If you want to do a Distance and Online learning course you should choose one of the Sage Pastel Partner courses. You are only going to work on Sage Pastel Xpress and don’t intend on working on Sage Pastel Partner in the future. Classroom course (at discounted rates) are held at Sage’s offices in Johannesburg, Durban and Cape Town. All classroom courses include meals and beverages, the training manual(s), stationery, the Sage online assessment and issuing of the Certificate of Competence on passing the assessment. You should know that when you register for a Sage Pastel course with us you are making an investment in your future. In other words, you will earn a return on your investment. There are quite a few ways in which you can increase your income after you have completed a Sage Pastel Course. Let us take a look at a few of them. Sage Pastel Partner is one of the most widely used accounting packages in South Africa. This is why so many jobs require Pastel. We often have people come to us wanting to complete a Pastel course in a rush (it is possible with the distance and online learning programs) because a job they want requires Pastel skills. It’s of course better to not wait before doing the course so that when such opportunities arise you already have the necessary qualifications. Click here to learn more about finding a job with your Pastel qualification. One of the most exciting opportunities a Pastel qualification can open for you is to start your own bookkeeping practice. You can even start doing this on a part-time basis and earn additional income on the side. Since so many businesses use Pastel they often require training and consulting on the program. If you would like to learn more about how you can do this please click here. An Accredited Training Centres (ATC) is a training company that has gone through a quality control process with Sage Pastel so that they can provide Accredited Pastel Training (which is training accredited directly by Sage Pastel). The trainers will be certified Sage Pastel Trainers. In order to obtain the certification trainers need to complete a number of courses (including Advanced Pastel training and a Train the Trainer course) and pass the assessments. Only once they have done so will they be eligible to train others. 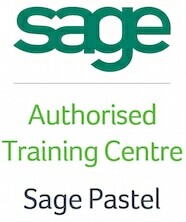 Accredited training always uses the official Sage Pastel Training Manual. Therefore, irrespective of which accredited training provider you select, the same course content will be covered. Accredited training always includes an access code (serial number) which allows you to take the online assessment on Sage’s website for the course you have done. If you successfully pass the assessment you will receive a certificate issued by Sage Pastel. As an Accredited Training Centre all of the Pastel training provided by us is fully accredited by Sage Pastel and meets the above requirements. There are a number of different ways you can choose to complete your Pastel course – which we refer to as delivery methods. It is important to note that whichever delivery method you choose you will be studying the same syllabus and you will be writing the the same online exam / assessment (which is administered by Sage on their website). On passing this exam you will receive the official certificate from Sage Pastel. In other words, the course content, the accreditations, the online assessment and the certificate are the same for all the different delivery methods. This involves attending a course at Sage's offices in Johannesburg, Durban or Cape Town. Once you have attended the course you have up to 6 months to take the online assessment. We offer discounted rates on most classroom courses. This option is ideal for those who need face to face interaction but does require you to take time out of your work schedule. This is the most popular option with our students. 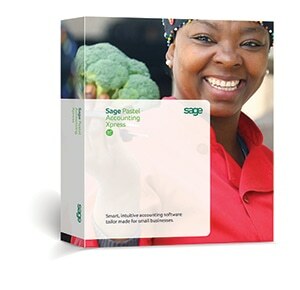 Once you register the official Sage training manual will be couriered to you. The manual has detailed step by step instructions with screenshots and comes with an educational version of the Pastel Software (on DVD) for you to install on your computer. You will also receive online access to the Talent Stream Student Portal (which is unique to Talent Stream). In this portal you will be able to post any questions you may have on the course material (and view past student questions) and a Certified Trainer will answer them for you (and include video recordings of the Pastel Software screens where necessary). If you need further help a Trainer will also be available to remotely login to your system to assist (e.g. where you have difficulty installing the software). The portal also includes mock exams that will help prepare you for the online assessment. You will be fully supported as you complete your course i.e. you will always have an expert trainer to turn to if you need any help. With this option we will send a certified trainer to your workplace. Or, alternatively we can arrange special training for you at our offices in Parktown. This option is ideal if you want dedicated attention or where you have at least a few people in your company who need the training. If you are interested in getting a quote for this then please contact us. 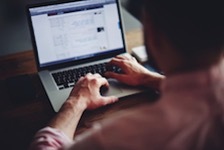 The Distance and Online Learning courses are our most popular course offerings. This section covers some Frequently Asked Questions (FAQ’s). It is exactly the same certificate as the classroom course i.e. the certificate is issued directly by Sage once you pass the online assessment – so there is no better certification! b) The Sage Pastel Partner software on DVD. 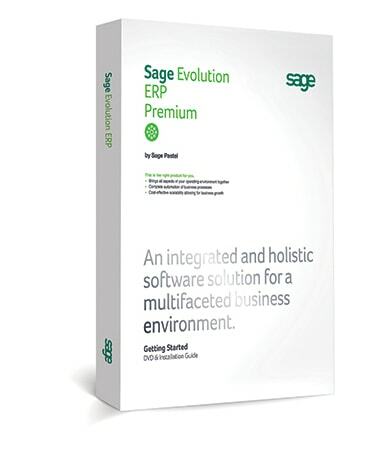 This means that if you don’t already have the Sage Pastel Partner software you will be able to install it on your computer. This is an educational licence of the software which is fully functional (but not meant for commercial use). Please note that Pastel does require Microsoft Windows to run i.e. it will not run on an Apple Mac unless you have installed Windows on it. a) You will be able to post any questions you have on the course material and a qualified trainer will assist you. b) You will be able to practice on our comprehensive mock assessment (as many times as you like) before taking the final exam. The final exam has a pass mark of 75%. If you don’t pass the first time it costs an additional R550 to rewrite the assessment. And if you fail 2 times you will have to attend a classroom course again before you can rewrite. Therefore, you can see that its important to pass the exam the first time around. Our mock assessment will highlight areas which you need to study further before taking the final exam and will significantly improve your chances of passing the first time around. c) You can also request assistance if you experience problems installing the software or if you have any other issues with the software. 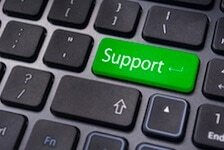 We use Teamviewer software which allows us to remotely login to your computer (with your permission of course) and perform the necessary tasks to resolve any problems. Is the course easy to complete? Yes, it is. 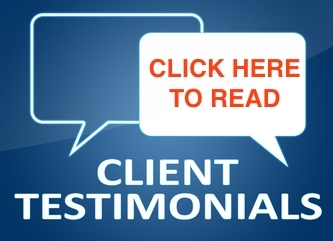 Read through the testimonials of our past students below. This course has been designed to be easy to complete and you are fully supported online throughout your journey. You can work out the study time based on the number of days the classroom takes. For every day in the classroom course you can assume 6 hours of study. For example, the Intermediate course takes 4 days in the classroom course. So you will need 6 x 4 = 24 hours of study time for the Distance and Online Learning course. You can then add some additional time to revise and practice on the mock assessment. Past students have taken anywhere from 1 week up to 6 months depending on how much time they had available. Course Duration Take any amount of time from 1 week up to a maximum of 6 months (including the online assessment). 2 to 5 days attendance in classroom (depending on course). You then have up to 6 months to take the online assessment for the certificate. Customised. Available in Anywhere - we have students throughout South Africa and the rest of Africa Johannesburg, Durban and Cape Town. (Click on name of city to see training venue details.) Johannesburg only. At your premises or Talent Stream's offices in Parktown. Course Dates You can start today ! Intermediate course dates. Advanced course dates. Dates have to be scheduled. Please contact us. Not Applicable - as learning material is provided to you in class. Not Applicable - as learning material is provided to you in person. Pastel Accounting (also called “Sage Pastel Accounting”) refers to a range of popular accounting software packages that is owned and marketed by a company called Sage. Pastel Accounting was first created a company called Softline which was founded in 1988 and which quickly became a leading player in the South African accounting software market. In 2003 the Sage Group plc (a British multinational company) bought Softline and it became part of the Sage Group. As a result, products such as Pastel have since been rebranded as Sage Pastel. 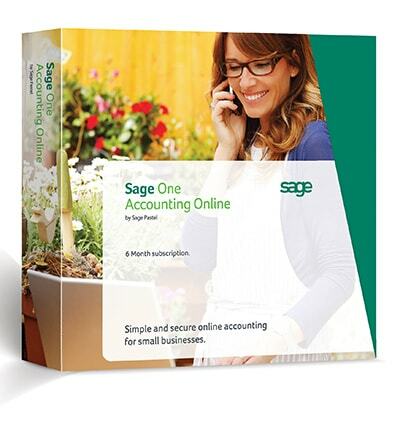 The Sage Group is the world’s largest supplier of accounting software to small businesses. 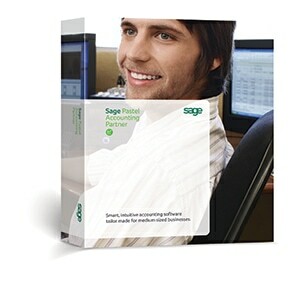 Pastel is not the only accounting software program developed by Sage. There are other products available as described in the table below. This is the most popular and widely used Pastel Product in the market. If you are unsure which Pastel program to learn then this is the recommended option. NOTE: If you become certified on Pastel Partner you are also automatically certified on Pastel Xpress (below). Xpress is the "little brother" of Partner i.e. it is a more limited version of Partner. If you complete a Pastel Partner course you will automatically be certified to use Xpress as well. Therefore, it may be a better option to study Partner instead of Xpress so that if you need to use Partner in the future you won't have to complete another course. This is a solution that Sage has developed for much larger businesses and is a full Enterprise Resource Planning (ERP) solution which has a number of add on modules available. This is a SaaS (software as a service solution) i.e. a fully online accounting solution for small businesses where all your company data is stored in the "cloud" i.e. on servers on the Internet. Which Pastel Software Program should you learn? You should find out from your employer or prospective employer which Pastel program they are running. If you are not sure which program to learn but want to learn Pastel in order to improve your job prospects and become more marketable then we would recommend SAGE PASTEL PARTNER. This is because it is the most popular and widely used Pastel package in the market. It is also used in tertiary institutions such as universities to teach the use of accounting software. Finally, once you’ve learnt how to use Sage Pastel Partner you’ll find it easy to learn other accounting software as well (because accounting software packages generally operate on many of the same principles). Difference courses cover different levels of training. However, the course names don’t always use these exact terms. For example, an “Intermediate Course” covers both the Beginner and Intermediate levels. There are also separate stand-alone Advanced Courses. You cannot register for an Advanced Course alone unless you have previously completed and passed the Intermediate Course. However, it is possible to register for a “Practitioner Course” which is a combination of the Intermediate and Advanced Courses. A Practitioner course therefore covers the Beginner, Intermediate and Advanced Levels all in one course. If any of this seems unclear please click here to speak to a consultant.